This "care for the poor" thing is just *so* inconvenient. Hey, they have fabulous homes and salaries to maintain while selling snake oil to the masses. If you don't support Obamacare you are turning your backs on the poor? Democrats are flim flam artists – they really are!! They continually engineer methods of privatized taxation to get corporations, churches, and individuals to play or pay. Its time they were exposed for their bullying of America. Liberal compassion is nothing but a fund raising campaign – a way to hoodwinkle unwilling Americans into supporting leftist causes. Liberal compassion is an oppression of the highest order. Jesus asks us to do things as individuals and NOT at the tip of a government spear. Using the tyranny of the many is the same as using the tyranny of one when forcing people to do things. Jesus taught to give to the government what they ask in order to pay for what government needs to do. I guess even Jesus knew that government would end up having to do the job that Church's preached should be done, but chose to give those monies to the ministers instead. I see quite a bit of "the preacher is getting to much money/benefits for what he/she does." And you think those lackeys at the White House aren't? "A pastor who publicly weighs in on the subject could divide his or her congregation or risk their job." Any pastor who consider what they do as a "job" that can be "lost", or worries about offending the congregation, clearly has NO idea what the "job" is. Jesus loves to watch poor people starve to death. Oh. That's why he fed and cared for so many. Must be why churches follow his example and give to charities to help the poor far and above those who are non-religious according to many studies. Care to back that up? Many many Secular charities are out there...the Red Cross is at every disaster; UNICEF; Doctor's Without Borders....they all do charitable work without selling the crack-pipe-of-religion. fascism is a disgusting thing to witness. 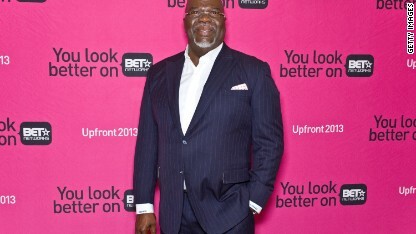 Joel Osteen and TD Jakes are a couple of mouth pieces for Owebama. They love the little dictator. They also could care less about the poor. People forget that Osteen's sister and was blown up by a mail bomb during a power struggle within the church when his dad still ran it back in 1990; that is how much power and money is at stake. Power and money =corruption. rankin4 And that makes sense how? What are you even trying to say? I think you're confused, cneder. 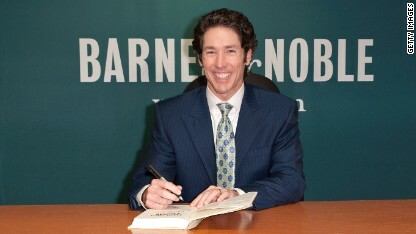 For some reason, I do not like Joel Osteen. I'm not an atheist, just don't like him for particular reason i do not know. He's actually a reptile, not a human being. His smile gives him away. Could it be that for him, grease is the Word? I dont agree, but I will defend your right to free speach....thank you sir, for your honest input. if you have a cronic disease go to canada or germany if possible, this country that was founded by slave owners said all men are created equall. yea right! Juan, do you walk to school or take your lunch? you don't really understand what the USA is as a country or why it was started to begin with? The god of these preachers is Money. Hypocritical TV & megachurch "preachers" being hypocritical. Quelle surprise! If one expects clergy to demand coverage for all (with which I agree) then one can't fault them for taking stands for or against issues such as gay marriage, racism, etc. What you fail miserably to comprehend is that these states happen to be intelligent enough to understand that big government spending and handouts are completely unsustainable and will wreck the supposedly united states of America. Socialized healthcare will ensure that no one except the super rich will obtain quality healthcare. Part of the function of churches is to provide charity to those in need out of the pockets of generous churchgoers. On the other hand, you have big government forcing people to give money to their failure healthcare scheme that will bankrupt the country. I guess there are those who feel they must be forced to give to charity rather than giving of their own accord. Try to learn a bit more about the true beliefs of your southern bretheren, and if you do actually understand are are merely smearing the south then shame on you, you are evil. Universal healthcare is a pipe-dream, pursued by failed states like Canada, Britain, France , Denmark, Sweden, Norway, Japan, South Korea... If we go down that path we too will find ourselves in the dustbin of history. failed states...your kidding right? those places you mentioned are ahead of us in healthcare, education, life expectancy and probably many other categories. they are doing something right. Yes, I am kidding. But the US is behind in so many ways it shouldn't be funny. I think you meant: "you are (you're) kidding . . . ."
Well, you're right. Those countries have some fine relatively new healthcare. Have you read the articles in Businessweek and WSJ about the already skyrocketing cost of France's wonderful socialized healthcare? They're well on their way to bankruptcy as we will be if we follow them with our already teetering economy. Once people begin to realize they can vote handouts for themselves, it won't stop until the country ruins itself financially. People don't take kindly to reversing governmental handouts. In France, the government tried to curb their expenses by not paying for illness not directly related to a long-term illness, which is paid at 100%. But there was such an outcry that the government had to say fine...100% is 100%. People are keeping their handouts and more, but what they aren't seeing that it is unsustainable and healthcare will start being rationed. Only the super rich will have quality healthcare. Socialized healthcare IS a pipe-dream. The best insurance scheme would be federal funding for a system of primary hospitals. Then have a system that is open to cash, charity with reserves set aside for catastrophic. The problem with a bloated premium system is that the opportunity costs prohibit investment in the critical infrastructure improvements that would bring costs down. The way we are trying things is going to end up having health being 22% of gdp. We can't afford long term to pay more than 9% of gdp. It is true that the ACA was conceived as a way to keep healthcare insurers in business while providing care to everyone. The 2010 expoenditure for healthcare in the US was 17.6%, highest in the world. So we are not being well-served by our market-based system. I do wonder, though, what the effect on GDP would be of an end to the healthcare insurance industry. Our GDP would retract. Lots of jobs will go away. Separate is inherently not equal, so you are promoting inequality right there, which erodes society and in this case, could actually kill people. And where are those numbers from? Sounds like garbage to me. And are you actually saying that if something winds up costing too much that we wouldn't change it? Lastly, When we talk about the moral imperative of caring for our fellow citizens, It's on us to figure it out, not whether or not to do it. 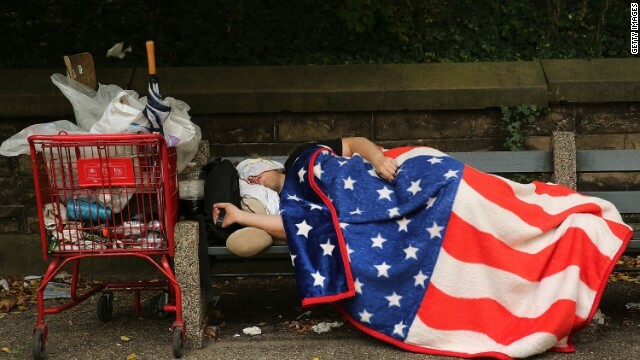 It is a disgrace that the most powerful and rich nation in the history of history has people dying young and suffering for a lack of healthcare because they are poor. Maybe we get a few less F22's and keep thousands alive and with the ability to prosper. Wee spend 4.4% of GDP on the military, and 18% on healthcare. While our military expenditures are vast, healthcare is in another league altogether. Funny article. Now had they spoken out, the same writer would most likely be screaming that they are preaching politics from the alter and whine that they should lose their tax exempt status. Arent hypotheticals fun? Lets make something up to complain about. Churches should not have tax exempt status unless they spend more than 85% on community services. Just think of how many people that would cover for health care, food, shelter and so on. damn i never thought of it that way, that is a fantastic idea. Jesus said, " Render unto Caesar that which is Caesar's and unto God that which is His" . Charity has always been a function of the individual, the family and the church. Nowhere in the Bible does God say give to caesar so that he can do YOUR job. Therein lies the problem. Socialism is antichrist. Dear Leader acknowledges your support. Your next weeks rice ration has been approved. Funny how folks that oppose Obama call him Dear Leader and Messiah. Supporters don't. And legislating from the Bible is un-American. Yes, but you live in a democracy, I think that comparing a dictatorship during the biblical age with today's system of government is not a real comparison. Christ also said that the poor woman paying a penny for her taxed was paying more than all of the weathy men of the town. Sameold– it was two pennies, not one, and it was her offering to God, not a tax. Jesus called for us to help the poor, and we should. Government, even today's system, does nothing efficiently, effectively or without fraud and abuse. Show me a government program that does act efficiently, economically and without fraud, and I'll apologize– a real one, not like President Obama. Then why aren't Republicans screaming for the end of Social Security, Medicare, and Medicaid? I suppose this free and open society has begun to deploy the clergy response teams to steam roll all that don't agree. Im sorry but it is about time to go walk my dog and change the channel. Interesting 'tag' you havechose for yourself; are you sure you know what it means?